How many of you remember eating candy as a child? I do, just like it was yesterday. I was offered candy numerous times throughout my days as a child. We had candy jars, candy drawers, and we often had the choice to get candy at the store. Of course, our parents told us we couldn’t eat too much and definitely not before dinner. One type of candy in particular rings close to my heart. This candy has come a long way since I was a child in the 80’s. I vividly remember opening up the roll of candies to find the silver shimmering cover, and tearing off the outer layer only to find it lined with some type of wax plastic paper. My mom always said that this was to protect the candy in case it melted. If it were to get stuck to the silver, well, it would be like chewing on aluminum foil. Icky, I didn’t want to chew on aluminum foil, so I was always careful not to rip the waxy paper below the silver, just in case the little candies became wet and gooey. I didn’t want to throw my candies out, so I always hoped that the waxy paper was still intact. Once I began opening them I could only hope that the first candy in line was one of my favorite flavors. I knew I had to share my candy so I hoped that I wouldn’t be stuck with a candy that I didn’t like. We had a rule that the first candy shown in the lineup was for the “opener” of the packet. Most times I got lucky, but then sometimes not. I would often try to trade one to my brother, sister or friends especially it is was green but I was always turned down. These candies I am talking about are one of the most famous hard candies. 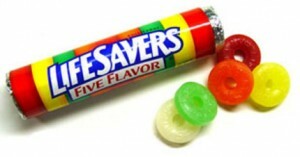 Yes, I am talking about LIFESAVERS! 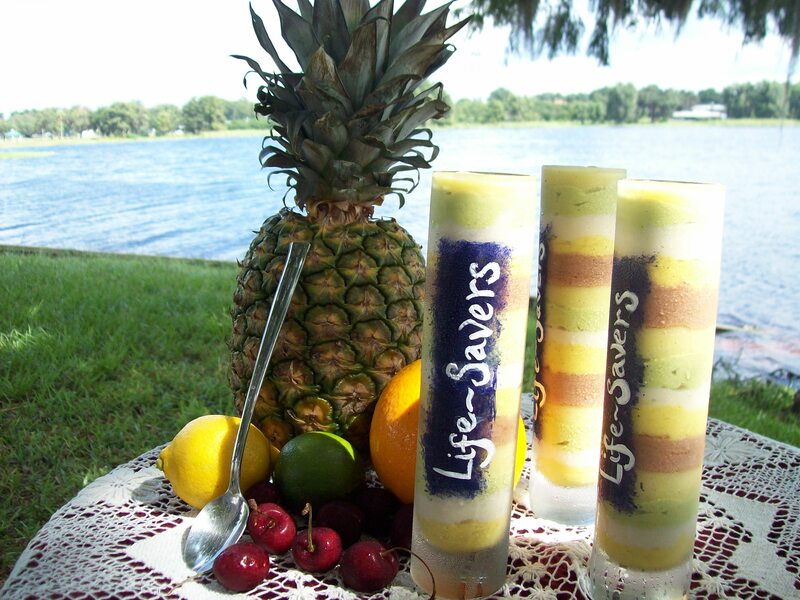 When I decided that I was going to do the Raw Summer Party Parfait Contest by Heather Pace, I didn’t know what to make, but I knew that I needed to do it. My Matthew Kenney Project (like Julie and Julia) is ending and I feel like this is something that I wouldn’t have done if I hadn’t spent the last year of my life making a recipe every single day from Matthew Kenney’s book Everyday Raw and Entertaining in the Raw. It has given me the motivation to do it, so here I go. About 3 years ago, I went “RAW”. I never knew that such a lifestyle that existed, but I am so grateful that I found this way of life. One thing for certain is Raw Desserts have been my vice, my sanity at times, my way out of such a strict eating regimen. 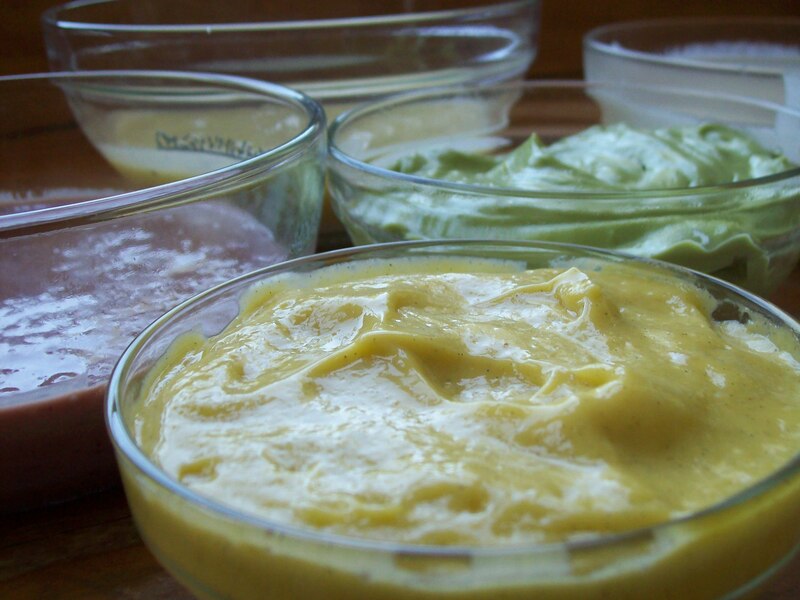 In the beginning I felt like eating raw food left me with limited choices, after all there is so much to learn in the beginning. But then, I found out that I could make something sweet and gooey, not “eat ONLY lettuce everyday” and still reach for better health. With this in mind and using Heather Pace’s Recipes from her book Raw Party Parfait E-Book, I designed a parfait that encompassed the rules of the contest and had the flavors of all my favorite candies as a child. 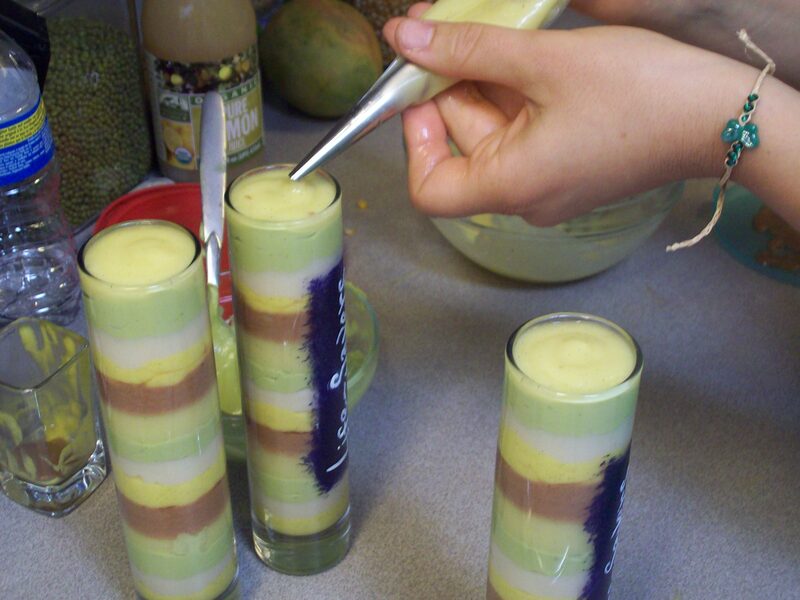 Raw Desserts, in a sense, were and still are my LIFESAVER. 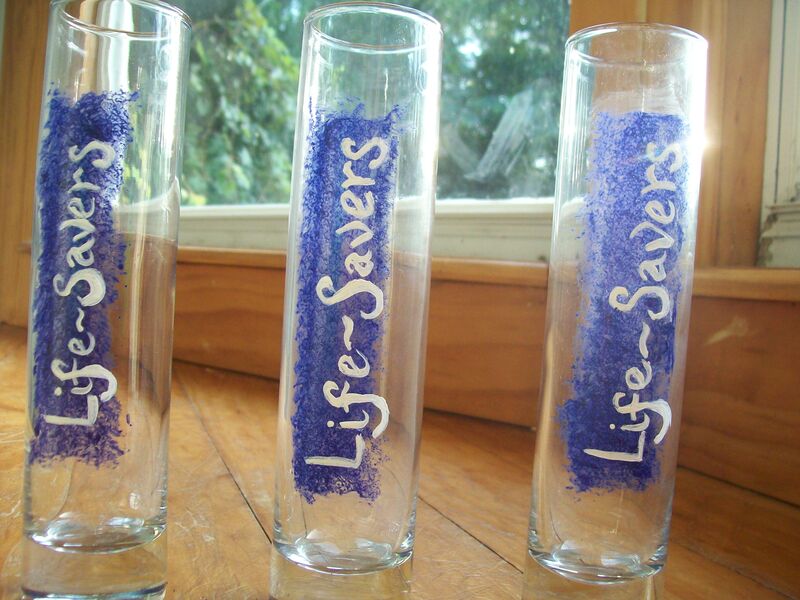 They could be your LIFESAVER too! 1935 was the year that the original flavors of LIFESAVERS came out. These flavors were Cherry, Lemon, Lime, Orange and Pineapple. 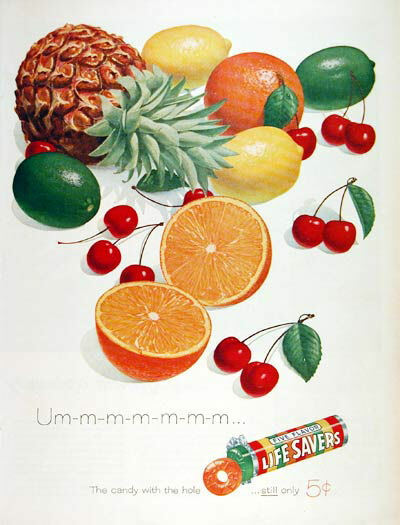 These flavors remained the same until the year 2003 when Kraft decided to change the flavors of the original LIFESAVERS to Cherry, Pineapple, Raspberry, Orange and Watermelon. For a while they used Blackberry flavor instead of Orange, but changed it back to the original. Funny how my favorite flavors were the flavors they kept. 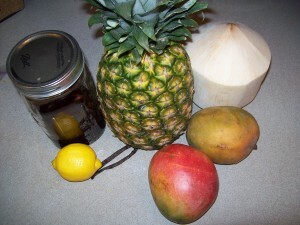 Cherry, Orange and Pineapple. 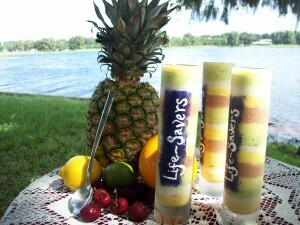 I thought I would be nostalgic and use the Original 5 Flavors of LIFESAVERS to create my Summer Party Parfait. This recipe is 6 steps so I will break each step down in order. 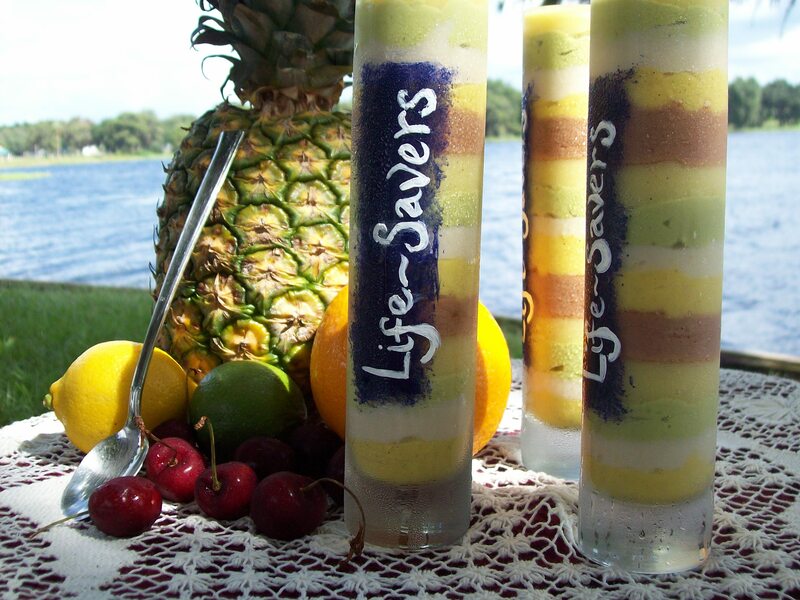 First I made the LIFESAVER pudding/creams and then I put them all together in beautiful flute glasses, to resemble the cylinder shape of LIFESAVER packaging. 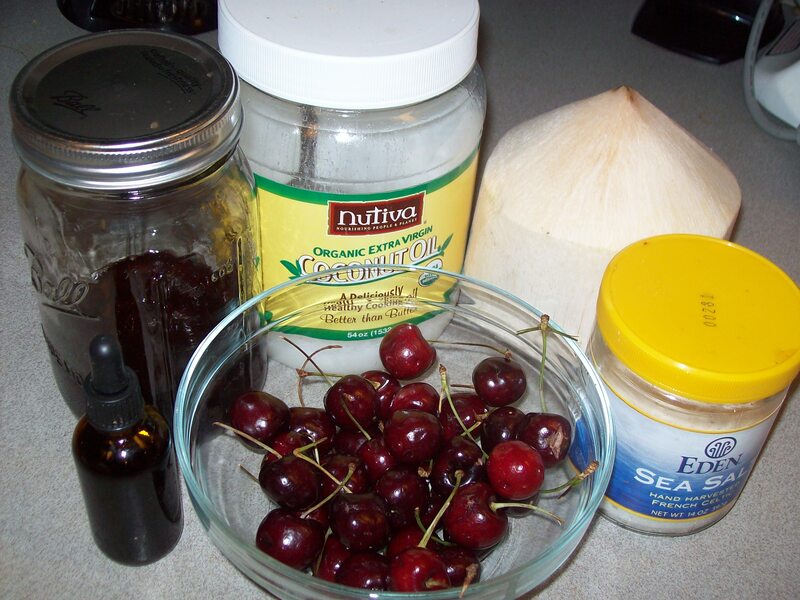 STEP ONE: CHERRY CREAM (I used the Coconut Cream Recipe pg. 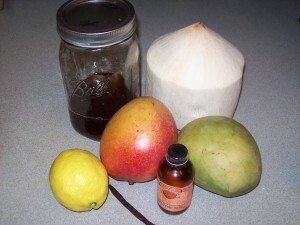 5, I omitted coconut water, and agave powder. 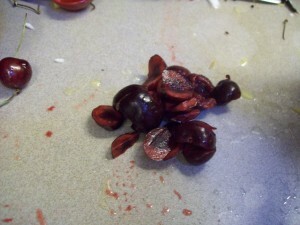 My first added ingredient was cherries). In this recipe I chose to take out the coconut water and use cherries instead. I did this so the consistency wouldn’t be too runny and the brilliant dark pink color would be more prominent. 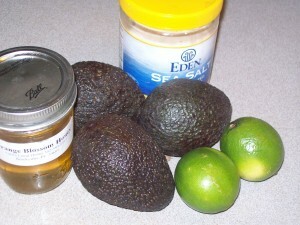 I also omitted the agave powder, this decision was made because I prefer to keep agave at bay when I have the chance. For over a year, I have been using agave in most recipes, so I chose to omit it because I could. I got all my ingredients together and got to work. 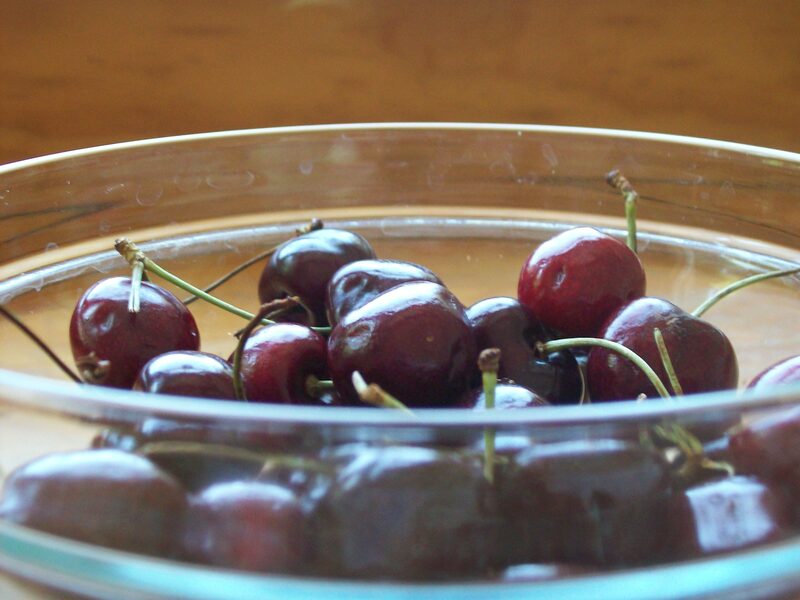 I was careful to pit every single cherry so I wouldn’t lose any of my teeth while enjoying my summery treat. A cherry pitter would have come in real handy. 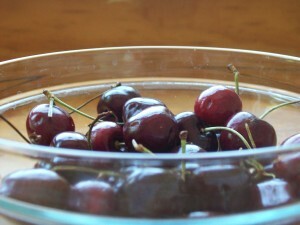 Note*When choosing cherries to use, pick the darkest possible to get a darker color of cream. The inside of the cherries were very dark, this allowed the cream to be darker than it would have been if the insides were lighter. 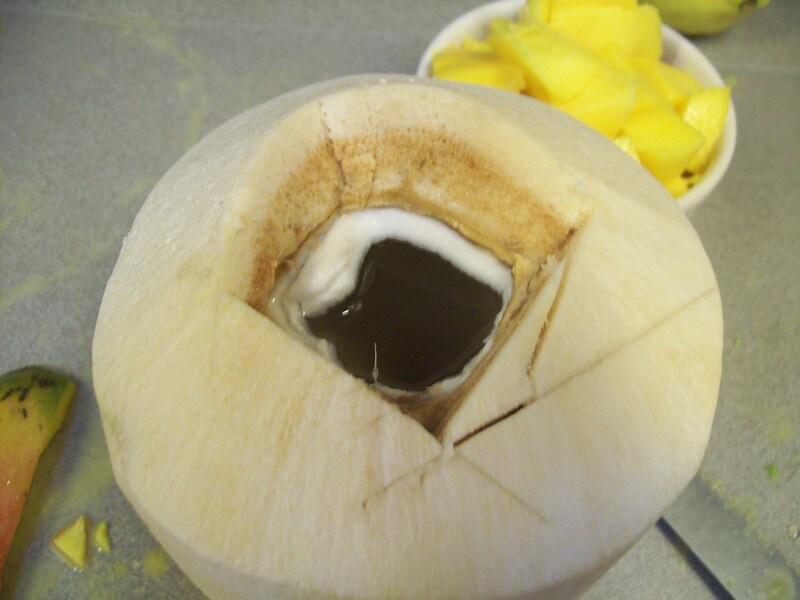 One of the easiest ways to gather meat out of a coconut is to open it with a cleaver and use a spoon and scrape the inside. I always run water over the meat and pick off pieces of husk that could still be on the meat. 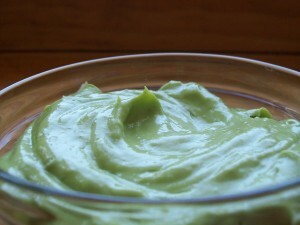 *After all ingredients are cut and measured place them all in blender until creamy. Pour into a bowl and place in refrigerator until ready to form the LIFESAVER Parfait. 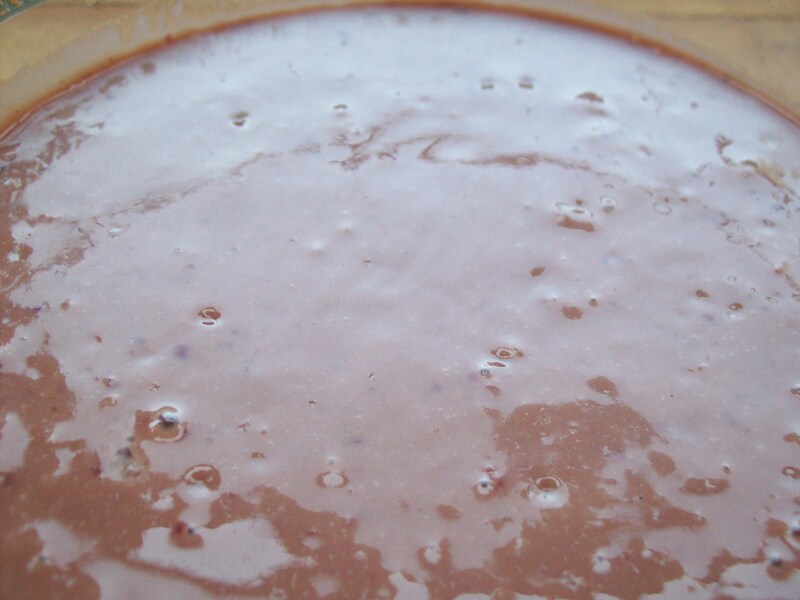 After gathering all of my ingredients and looking over the recipe again and again, I decided that would not be using the Irish moss. I was concerned that because of the coconut oil it may become too stiff to work with. 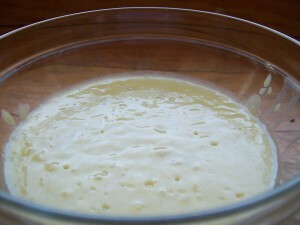 This was the first time I made the recipe. 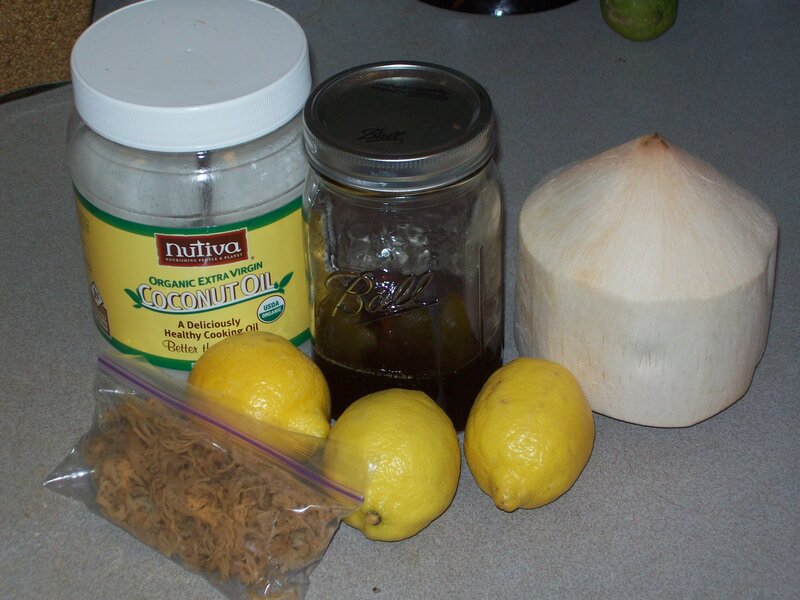 I used less lemon juice and less maple syrup because I omitted the Irish moss. First I collected the zest from the lemons. Then I juiced several lemons. 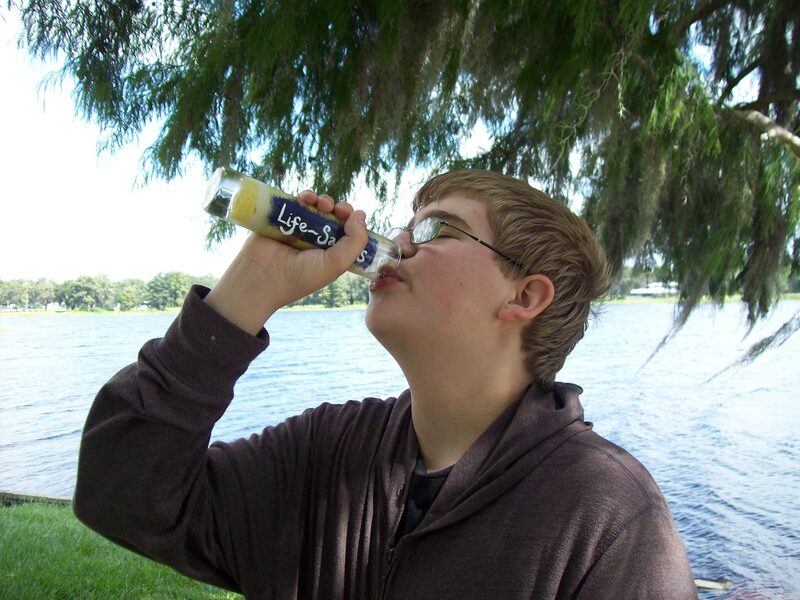 My mouth started to water, I love the taste of fresh lemons. They are so healing and cleansing. I love how you can use God’s food for more than just food. Lemons can be used for cleaning your body as well as your home. 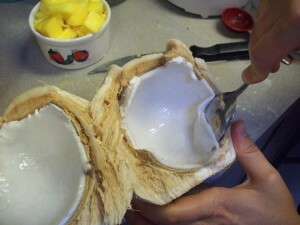 With my husband’s help we opened up 6 Thai coconuts. They are always so fun to open. It’s like Christmas, the outside looks so pretty and you have to wait to see what is inside. Sometimes you will get pink water and slimy meat, but most of the time the coconuts that I buy have thick white meat and clear liquid from this King of Fruits. You can see that this coconut was perfect! 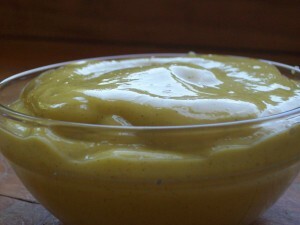 All ingredients were blended and put into a bowl and stored in the refrigerator until ready. I gathered all my ingredients and got started. I realized that this recipe was perfect, I didn’t need to add anything to it, or take away from it. 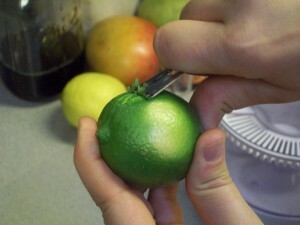 First I zested the limes. Making designs in the food always makes me feel like an artist. The zester is just a fun tool to have in your raw food kitchen. 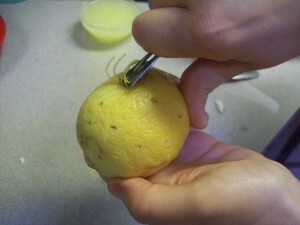 Although zest can also be made using a peeler and just chop the “zest” up. 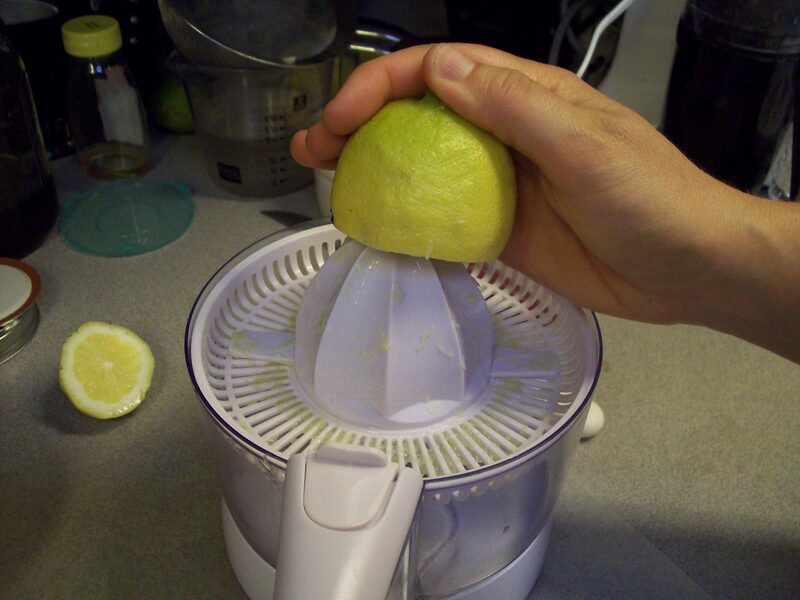 I use that method occasionally if the zest needs to be blended anyway. The Vita-Mix takes care of those bigger pieces. But I like to have fun in the kitchen. 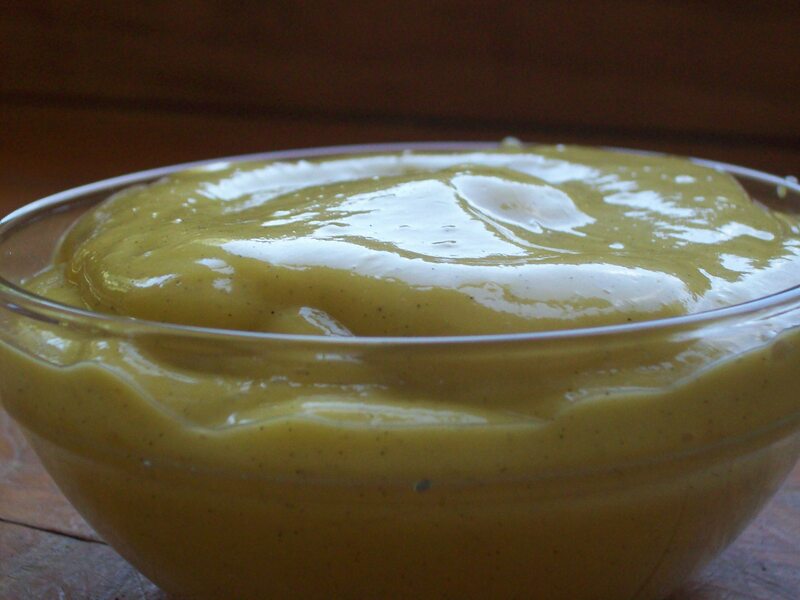 The zest is a bit long if I were adding it to a recipe that doesn’t involve blending. I like to chop it up so the lucky eaters don’t have long strands of zest in their teeth. 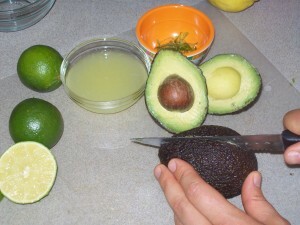 I juice the limes/lemons after I zest them, because it is difficult to hold the fruit and zest it if the juice is gone. A citrus juicer is an appliance I use often, it cuts preparation time down. 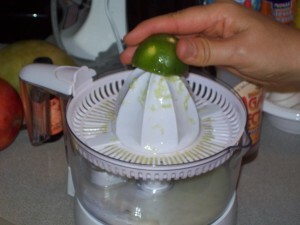 If you don’t have one, a hand held juicer works just fine, but I always strain the juice to make sure there are no seeds. Only a few ingredient go into this recipe, so this was quick to make. 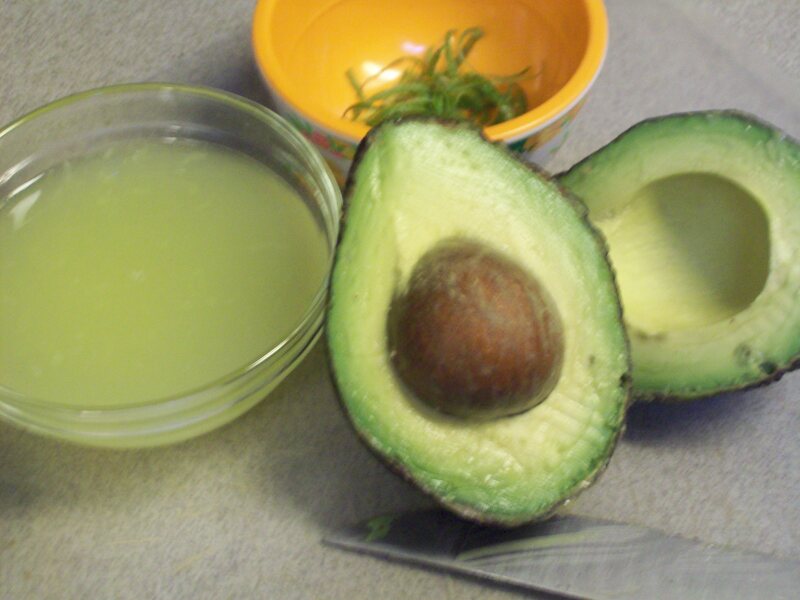 I cut the avocados and then added all ingredients to the Vita-Mix. The beauty makes me feel like I am in the Garden Of Eden. I am always in “awe” viewing God’s power in the natural. After gathering the ingredients I read through the recipe again to make sure I had everything I needed, after all I was adding an ingredient that wasn’t in the recipe. 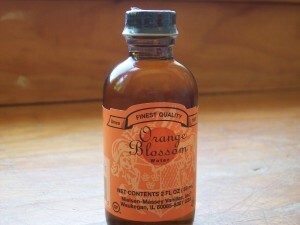 My second added ingredient was Orange Blossom Water. This is light flavor to use when you want to have a bit of orange essence in your food. I used it several times for other recipes this last year. This flavoring is not as potent as orange extract. 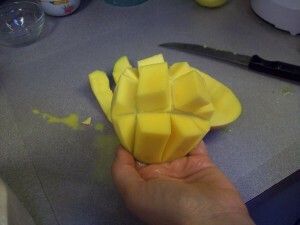 Some people are not familiar with cutting a mango. 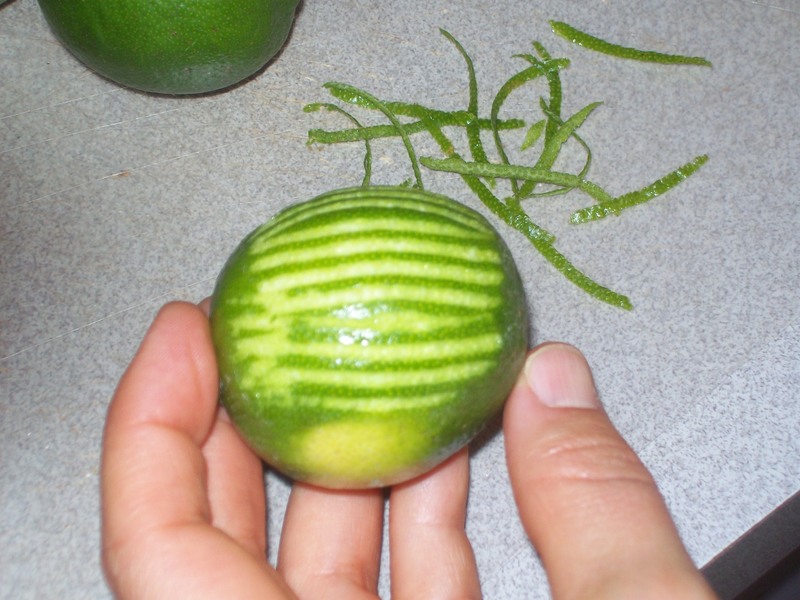 I hold it up right like an egg and cut the largest sides as close to the seed as possible. 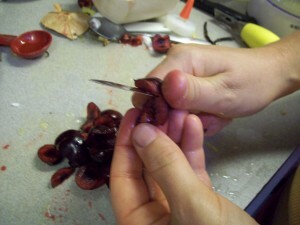 Then I cut the thinner sides. 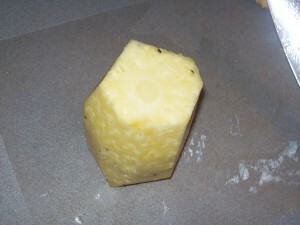 I love to cut cubes out of the large sides. 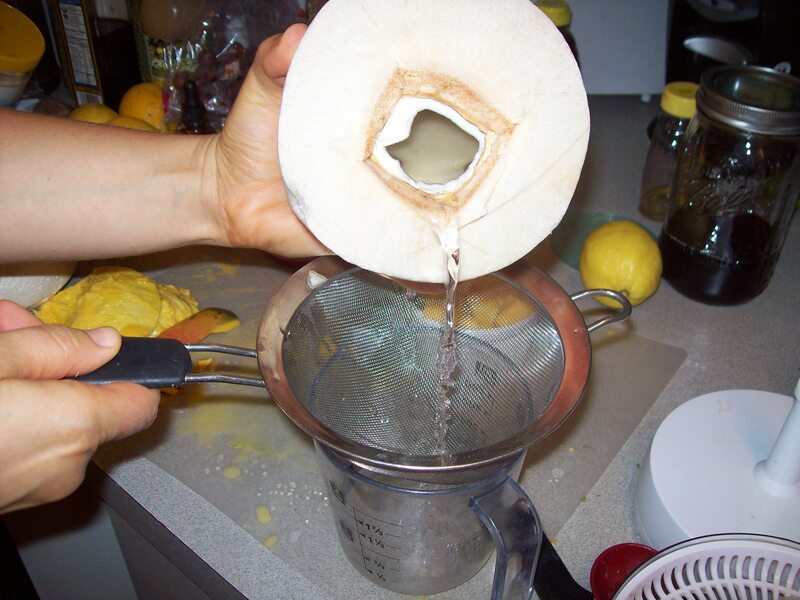 This is especially fun for children when you fan out the mangoes. After cutting up the mangoes, I chopped them finely and cut the Thai coconut and strained it. 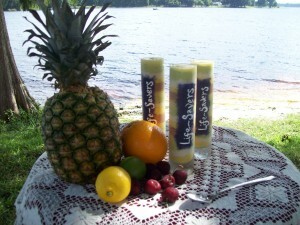 All ingredients were blended to make a lovely Orange LIFESAVER flavored cream. After seeing how light the Lemon Cream was and the how dark the Orange Cream was, I decided to omit the mangoes, so the LIFESAVER Parfait colors would be some what distinguishable. I peeled and cut the pineapple. 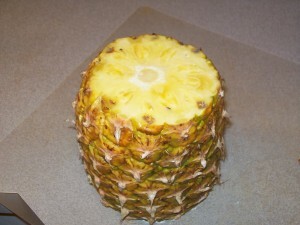 First I chopped off the top and bottom of the pineapple. Then I cut the outside off in about 5 quick slices. 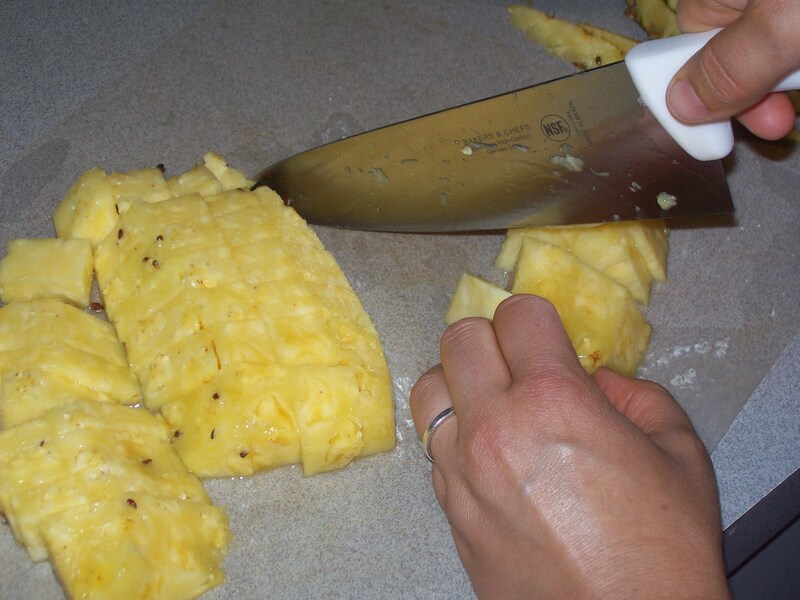 It’s important to have a sharp knife to do this so you will not get cut. I then cut around the inner part of the pineapple called the “core”. The core has some of the highest phytochemicals of any fruit. 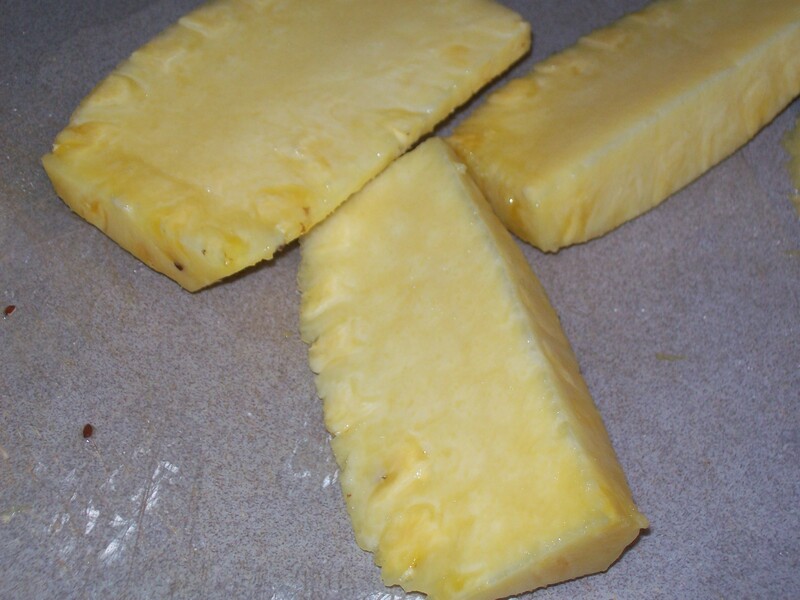 Pineapple is also very high in Vitamin C, and almost 100% of the recommended RDA of Vitamin C is in only 2 slices. I usually save the core and I eat it after I am finished with my recipes. I chopped up the pineapple to measure the amount used. I prepared all the ingredients from Heather’s recipes and then threw all ingredients in the Vita-Mix and made this marvelous Pineapple Cream. 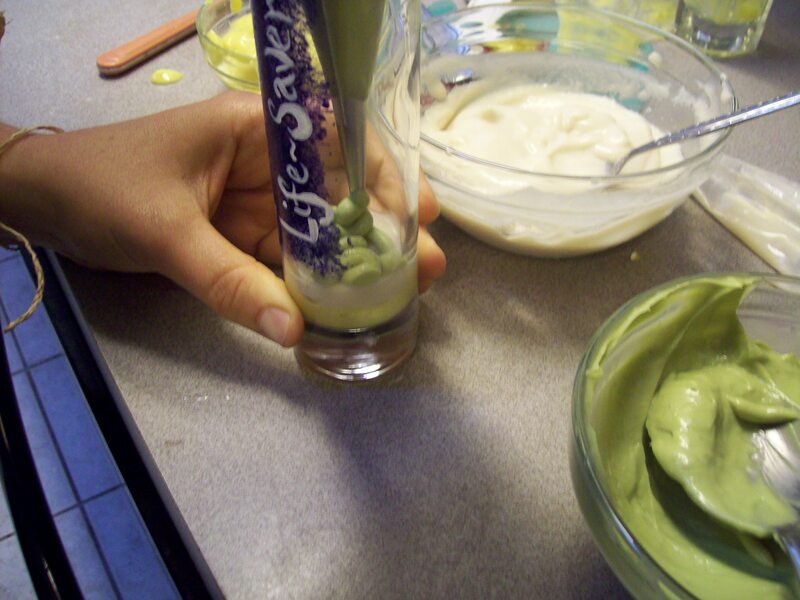 Now, all the creams are ready to be used in the LIFESAVER flute glasses. 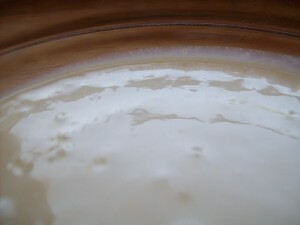 You can see the variances of color in this next photo. After making the 5 flavors of the creams, it was time to get busy. I wanted to just sit down and eat a bite of all the creams, they all smelled so delicious and honestly making my mouth water. 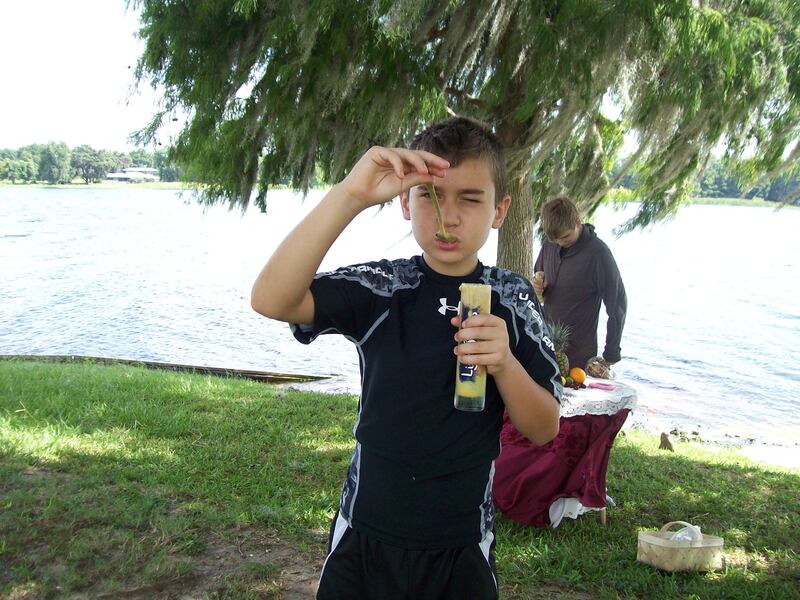 I was on a roll though, I wanted to start right away. Earlier in the week I asked my Mom to join in on my fun during this contest. I asked her to paint my glasses with the word LIFESAVERS on them. She loves to paint as much as I love to make Raw Food. I am blessed to have her, she always is so supportive of everything I do. I think she did a beautiful job. Now for the fun part, to assemble these marvelous little treats. 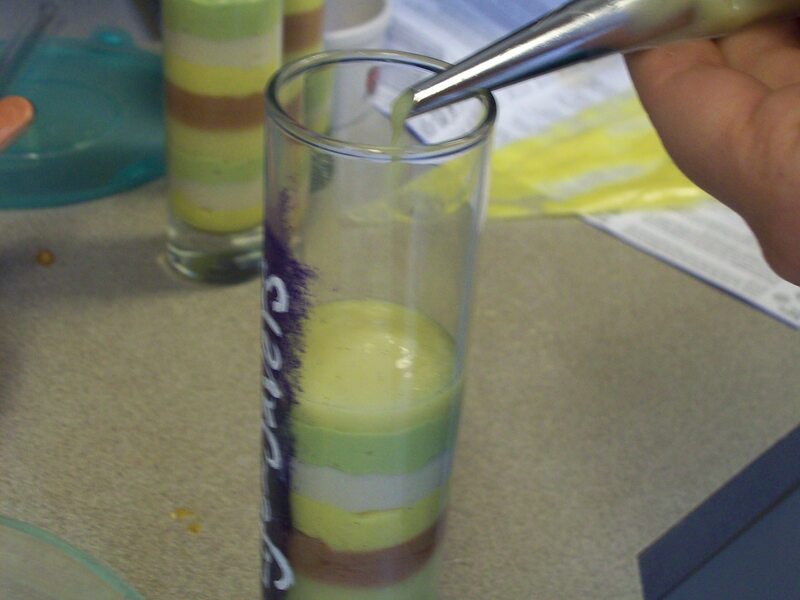 I used a piping bag to fit down into these long slender glasses. At first it was a real challenge to fit the bag down into the slender glasses. Glad I had my hubby by my side to cheer me on. It takes a steady hand, patience, and the passion to make these. I started with the Orange, and went in sequential order the whole way. 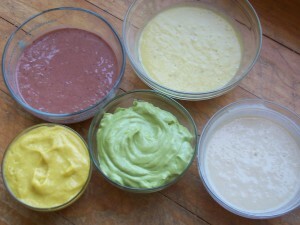 Next was Lemon, Lime, Pineapple and Cherry. 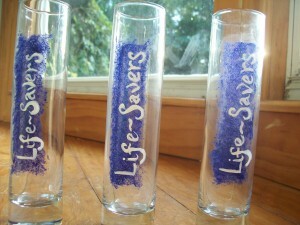 I wanted to make these little LIFESAVERS as similar to the candy. I read that in each packet of LIFESAVERS there are 14 little candies, so I layered the creams 14 times. I ended with Pineapple on top. The preparation took so much longer than I anticipated but there really is no other place I would rather be than in my kitchen with my best friend and lover, Jason:). Well, there may be one place I like better and that is my favorite spot on the lake, between my 3 trees. 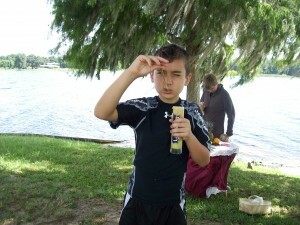 I grew up on the lake here in Inverness, Florida. I adore the water and how it makes me feel. I found this spot about a year ago. I have lived in this town for so long that I have seen almost every part of it, but being here between these trees in the morning is healing and energizing to me. There is a bike trail right next to this park and I often ride a bike or run/walk to this spot early in the morning. If I come early enough I see the sunrise and many of the animals that live here. If I am having a bad day, I come here. 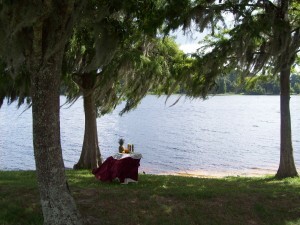 I meditate, pray, read, dance, and play here. There is something about being in the middle of these 3 trees, I feel like Nature gives an embracing hug. When I saw that I had to take the picture in my favorite spot in Nature for this contest, I was even more excited. This spot is the first place I thought of. I pictured it all and it came to fruition this morning. I shared this experience with my Husband, and my two boys (13, and 8). 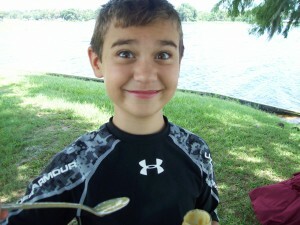 They were all helping set it up and the boys couldn’t wait to try the Parfaits. This time was so precious with my family together, enjoying this event. I know it is something they will remember. 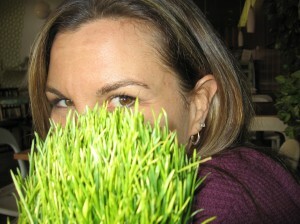 One thing if for certain, if you ask my boys, “what is your Mom’s passion?”, they would say, “Making Raw Food”. Well, thank you to Heather Pace for this fun project and thanks to my family:) The boys loved the recipes. They said it tastes like Rainbow Sherbet. 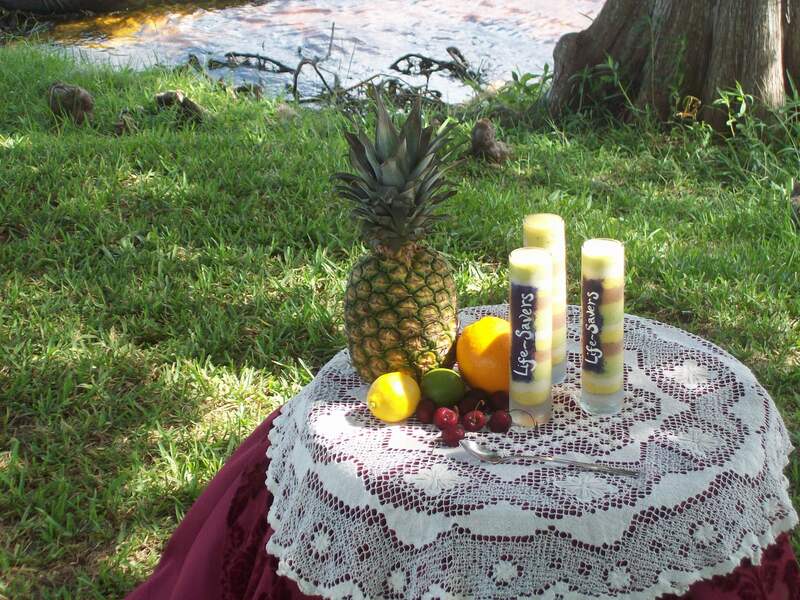 The top favorite flavors were Cherry and Lemon.